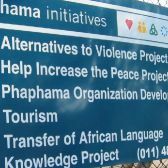 Phaphama Initiatives is the result of a merger, in 2002, between the Transfer of African Language Knowledge (TALK) Project and the Alternatives to Violence Project (AVP). What follows is a brief description of the history of TALK and AVP and the factors that led to the merger. 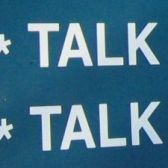 The TALK Project was established in Johannesburg, South Africa in 1990, to promote the learning of African languages and cultures by bringing South Africans from different cultures together. The project was the initial initiative of one woman, Liz Johanson-Botha, who through her language studies, discovered a socio-cultural language- and culture-learning methodology called the Brewster method. A missionary couple, the Brewster’s in the U.S.A., devised this method, which Liz then adapted for the South African context. 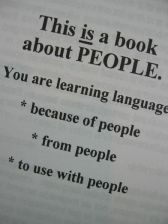 Liz began using this method to learn IsiZulu, by talking to people in the streets of Johannesburg. This method of learning from people proved so much more effective than other more academic models, and Liz established so many valuable people contacts, that she soon set up a course to teach this method to other South Africans wanting to bridge the language and culture divide. This became an opportunity for black South Africans to gain employment by sharing their languages and cultures with others. The fundamental principle of the course is that each language learner is paired up with a mother-tongue African language “helper.” One of the first helpers on the course was a fruit and vegetable hawker in the streets of Johannesburg, Jabulani Mashinini, who was helping Liz learn isiZulu. Jabu subsequently went on to become a facilitator of TALK African language and culture courses and is, today, one of the directors of Phaphama Initiatives. 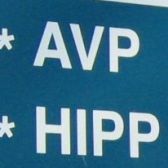 AVP was introduced to South Africa in 1995 by three AVP facilitators from New Zealand and the UK. A series of three workshops (Basic, Advanced and Training for Facilitators) was offered to a group of people drawn from different NGOs and FBOs that had a focus on peace work. Jabu Mashinini and Judy Connors attended these three courses and there met Colin Glen. 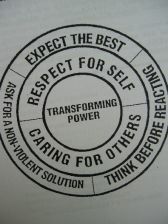 Colin then took on the task of coordinating the AVP programme, which for a few years was run on a very small scale. 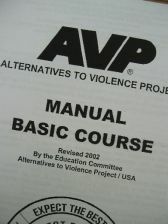 Judy and Jabu continued coordinating TALK, and were also involved in facilitating occasional AVP workshops. - Both programmes saw their potential ability to contribute to the building of a more peaceful society in South Africa, and indeed in the whole world. - Because of the synergy of the two programmes, there was a natural opportunity for cross-pollination between the facilitators of both programmes i.e. TALK facilitators could easily be trained in AVP skills and AVP facilitators could easily host TALK tourists or become language helpers. - Both Jabu and Judy had become increasingly more involved in both TALK and AVP, and felt that both these aspects of their work could complement each other more holistically under one organisational umbrella. The decision to merge AVP and TALK, and to call this new organisation Phaphama Initiatives was ratified by members of TALK at the TALK Annual General Meeting held in 2002.